Beat back by German troops to the French port city of Dunkirk, hundreds of thousands of Allied troops wait in desperation for an unlikely deliverance. Over the course of this harrowing week, we witness a French soldier trying to smuggle his way onto a fleeting British carrier, a dogfight between RAF and Luftwaffe pilots, and a civilian and his sons answering their country’s call to aid in the evacuation. Christopher Nolan’s most solemn and serious movie to date is a visually arresting, fluid, even balletic experience told with minimal dialogue and the aid of fine performances including Kenneth Branagh, Mark Rylance, Cillian Murphy, and Tom Hardy. The movie does reach a problem area however when the panoply of the filmmaking itself starts to take precedence over the actual events it is depicting. 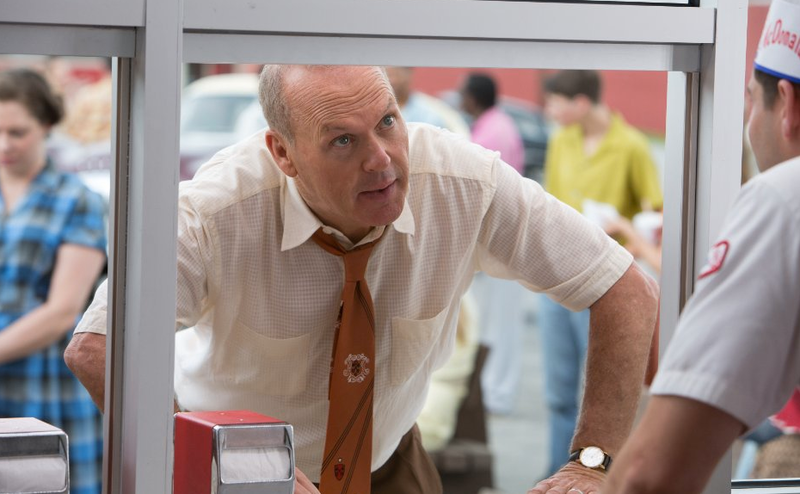 Persistent, energetic, and struggling milkshake mixer salesman Ray Kroc (Michael Keaton) is dumbfounded when a San Bernardino restaurant places an order for eight machines when he can barely sell one himself and drives halfway across the country to check out the operation. There he meets the McDonald brothers (Nick Offerman, John Carroll Lynch) and discovers their “fast food” concept in what amounts to a revelation from God, and places all his energies into franchising the restaurant and expanding his burger empire at all costs. The Founder amounts to little more than an unabashed, unashamed two hour McDonald’s commercial that decides it wants to be Citizen Kane in the last ten minutes and helped little by Keaton’s frenetic, tic-conscious performance. 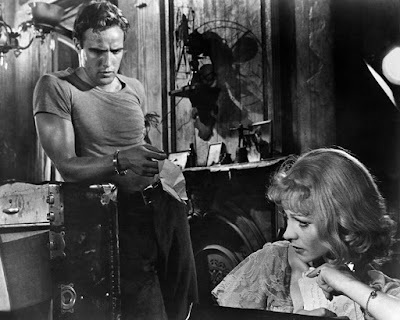 After losing the family farm and being run out of town, a fragile, delusional, aging ex-schoolteacher (Vivien Leigh) moves in her pregnant sister’s (Kim Hunter) noisy and humid French Quarter flat and finds herself being bullied, abused, and driven to madness by her crude and brutish brother-in-law (Marlon Brando). Elia Kazan’s screen treatment of Tennessee Williams’ monumental play is stagy and claustrophobic, while showing its age a bit, but still daring and potent with Brando’s revolutionizing and sometimes hammed up performance standing atop a phenomenal cast which also includes the noble and dopey Maldin. 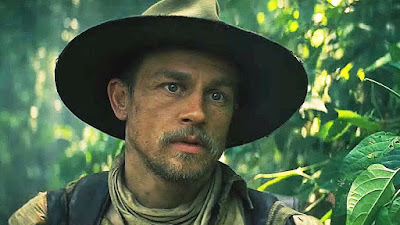 The story of Percy Fawcett (Charlie Hunnam), a British colonel whose disgraced family name prevented his Army advancement and who, in several perilous trips up the Amazon river, saw a way to redeem it, seek insight into the misunderstood indigenous people, and find a mythic lost jungle city that would prove their advancement. Filmed on a beautiful canvas, James Gray’s somber Amazonian adventure piece is captivating in segments, but languidly paced and probably should have been drawn tauter while ultimately lacking resonance and paling somewhat to the great jungle river works of Coppola, Herzog, or Huston. Though Hunnam gives it an earnest go, I can’t help but think the project would have fared better on another, stronger actor’s shoulders. As for the rest of the cast, Robert Pattinson provides a quieting, stoic presence as Fawcett’s assistant, Miller seems lacking as the worried, progressive minded wife, and Angus Macfayden is memorable as a cowardly national hero who joins one of Fawcett’s expeditions. 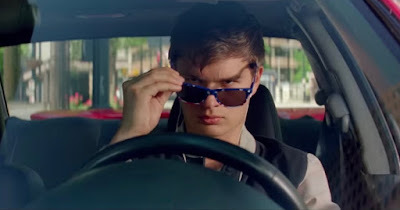 Mostly mute and traumatized from a childhood accident with a preternatural ability for getaway driving and earbuds constantly playing an array of popular music, an idiot savant (Ansel Elgort) is compelled to work off an exaggerated debt for a crime lord (Kevin Spacey) and, when attempting to emancipate himself, he is targeted along with his waitress girlfriend (Lily James) by psychotic fellow bank job members (Jaime Foxx and Jon Hamm). Another cute and ostensibly hip entry from Edgar Wright is the latest Goodfellas knockoff and adds nothing to the heist movie except bad music. Elgort boasts zero charisma and the rest of cast, with the exception of an amusing Spacey, appear in write-off roles. 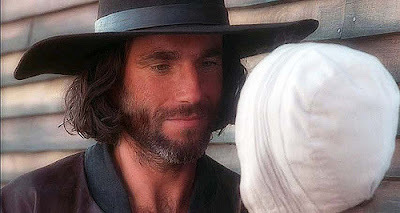 Vendettas, paranoia, personal interests, and mass hysteria rule the day in colonial Salem when rumors of witchcraft start circulating the village with a young, calculating girl (Winona Ryder) and her brood of posturing "victims" leading the mass accusations against residents, her aim to remove the wife (Joan Allen) of her former employer (Daniel Day-Lewis), a noble farmer who once fell prey to her advances and must summon the courage to stop this grave injustice. With Arthur Miller writing the script to his own seminal play (which again has relevance regarding today's media) some 40 years on, The Crucible is well-set and properly cast but nonetheless a tone-deaf treatment, even largely so in the Day-Lewis performance, but is truly worth the price of admission just to witness Paul Scofield's supporting turn as the cold and esteemed inquisitor. In the first of these two diverging tellings of the Arabian Nights tales, Douglas Fairbanks stars as a beggar and master pickpocket in the Bagdad bazar who becomes completely awestruck at the sight of the princess (Julanne Johnston) and seeks to break into the castle at the same time she is visited by an evil Mongolian sultan and two other loutish princes all trying to win her hand. An Alexander Korda produced (and partially directed by Michael Powell) barely related follow-up sees a feckless King (John Justin) overthrown by his iniquitous right-hand Jafar (Conrad Viedt), finding his purpose in the princess (played by June Duprez also targeted by Jafar), and sharing the fate of an industrious street urchin (Sabu) who happens upon an insolent, all-powerful genie. 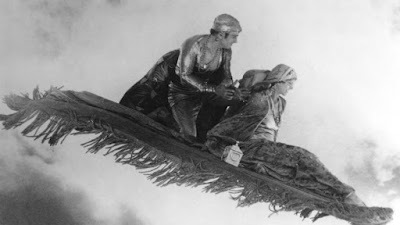 Raoul Walsh’s 1924 treatment of The Thief of Bagdad is a rousing silent entertainment, boasting an exciting story, remarkable sets, and an engaging Fairbanks performance. 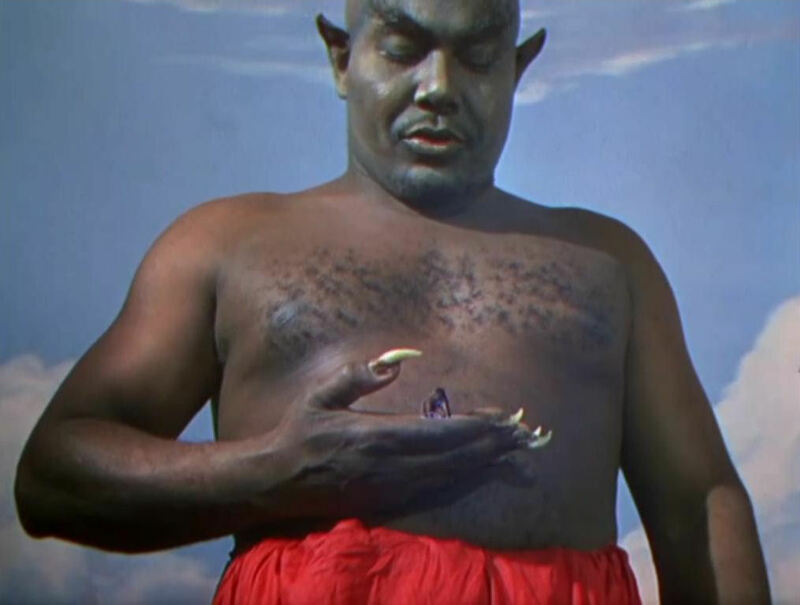 The 1940 British update, released to a besieged wartime audience, is a fantastic family entertainment featuring state of the art Technicolor special effects that make you lament the current state of the magic-lacking movies. Sabu, Justin, Viegt and Ingram all leave an imprint. Two unemployed, drug addled, alcoholic actors (Richard E. Grant and Paul McGann), living in complete filth and squalor in a London flat in the late 60s retreat to an uncle's countryside manor where they are dogged by the weather, the locals, and an unexpected visit from their forward, flamboyant provider (Richard Griffiths). 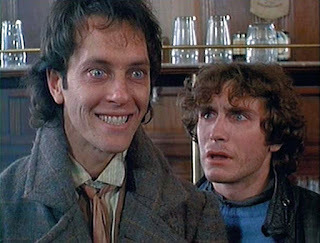 Bruce Robinson's drawn from real life black comedy is hilarious and humanized with great performances all around, especially Griffiths as Withnail's ostentatious Uncle Monty. Two identical, unrelated women in Paris and Warsaw (both played by Irene Jacob) are nonetheless metaphysically bonded and, when one dies suddenly from a heart condition during a music recital, the other, a music teacher, feels acute grief and sorrow while simultaneously being stalked by an aware puppeteer as part of a social experiment. Unique though specific to the director's canon, Krzysztof Kieslowski's The Double Life of Veronique is marked by its stunning cinematography, resplendent music, and a luminous, nuanced performance from the enchanting Jacob although the opaque subject is not expanded upon and left rather abstract. A jaded British journalist (Michael Redgrave in the original, Michael Caine in the update) covers the French colonialists' war with the communists in 1950s Vietnam and finds his much younger local mistress being swept away by an unassuming, idealistic, and also much younger American aid worker (Audie Murphy and Brendan Fraser) who proves to be something totally different than he initially appears. 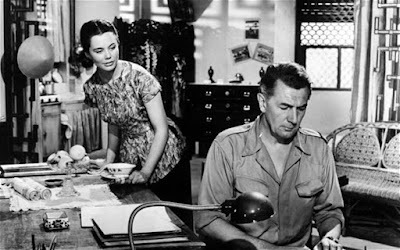 Graham Greene's cynical story was first adapted by Joseph L. Mankiewicz into a great, depoliticized screenplay that ultimately leaves much less of an impact whereas Philip Noyce's remake keeps much of the contentious politics intact, though this version seems to detract from the main love triangle where our sympathies mostly reside. 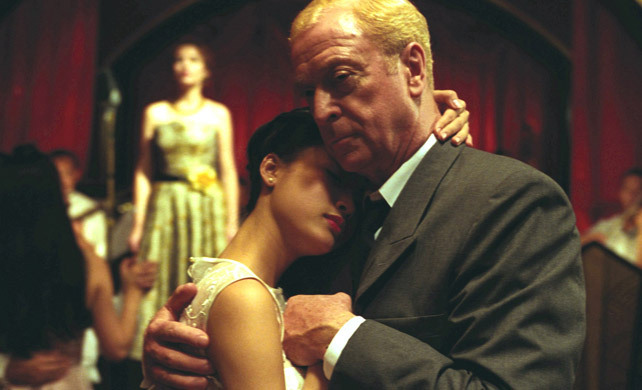 In both films, it is the wary and consummate lead performances from Redgrave and Caine which make the film worth seeing and Fraser is quite good as well, crafting a humanized, three-dimensional character out of a vapid blueprint that is far beyond Murphy's empty portrayal in the earlier picture. 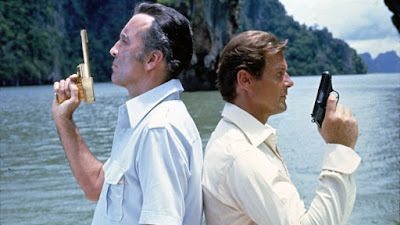 On his own private island buried deep in the seas of Red China, Francisco Scaramanga, the world's most deadly assassin with a just a rare birth mark, hunts the top men of his trade before setting his sights on MI6's top agent who, upon receiving word, treks to Macau, Hong Kong, and Thailand in search of a solar device while bedding his stalker's mistress and a beautiful and jealous fellow agent all before the final showdown. The Man with the Golden Gun is a vapid and cruder than usual 007 entry with Moore still an effete, ineffectual Bond in his second outing. Stupid throwbacks to previous movies don't help and a Lady from Shanghai inspired ending is anticlimactic. The villains and the women continue to be the reasons for these movies with Christopher Lee making a formidable baddie and Britt Eckland and Maud Adams lovely Bond girls. Well past the turning point of the Civil War, a gravely wounded Dublin born Union conscriptee (Colin Farrell) is discovered on the grounds of a largely deserted Virginia plantation now being utilized as a low enrollment all-girls boarding school. Reluctantly taken in and given aid and shelter by the headmistress (Nicole Kidman), a repressed teacher (Kirsten Dunst), and the curious pupils whom he uses his wiles to charm and create jealousy and dissension before it all pivots back onto him. Sofia Coppola's remake of a 1971 Don Siegel/Clint Eastwood film (unseen by me) is, if a little underwritten, slowly involving and richly atmospheric thanks in large part to the beautiful, foggy and muted cinematography in addition to the wonderful period details. Farrell, Kidman, and Dunst all inhabit their roles superbly.